One day after Foreign Minister Nikos Kotzias and Defense Minister Panos Kammenos, who leads the junior coalition partner Independent Greeks (ANEL), clashed over the Prespes name deal during a cabinet meeting, government spokesman Dimitris Tzanakopoulos on Wednesday urged officials that disagree with government policy to resign. “The message sent by the prime minister was loud and clear: The government train is moving forward… and it will reach its destination. 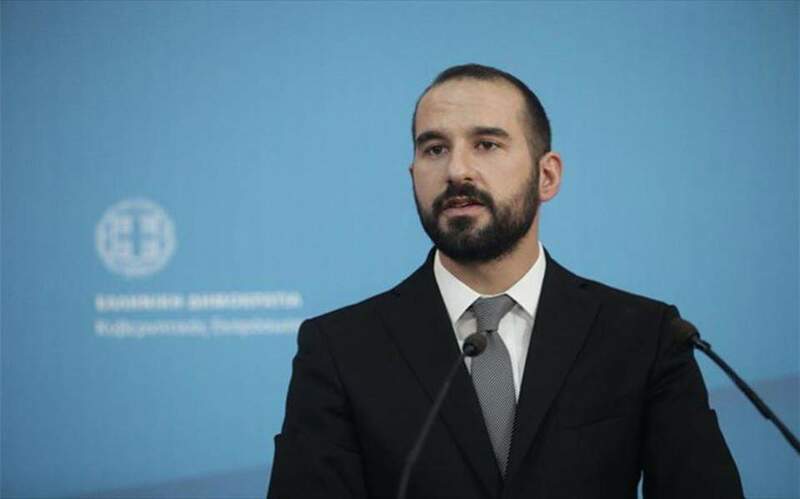 Anyone who does not want to reach that destination and anyone who feels uncomfortable during the journey can get off the train,” Tzanakopoulos told Alpha TV. He said that a possible resignation would not have an effect on the government which is fully focused on efforts to restore economic growth and support social groups mostly hit by the crisis. On Tuesday, Kammenos, who proposed an alternative to the Prespes deal during an official visit to Washington last week, came under fire during the meeting Kotzias, who signed the pact with his counterpart from the Former Yugoslav Republic of Macedonia in June. According to sources, Kotzias accused Kammenos of embarrassing Tsipras and the country, stressing that it is not his job to make foreign policy. Kammenos is said to have hit back, declaring that he has a right to express his opinion.